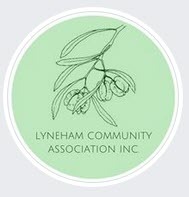 The Lyneham Community Association will hold its Annual General Meeting from 2.30 pm to 3pm on Sunday April 14, in the Guide Hall at 14 Clianthus Street O'Connor. The North Canberra Community Council (NCCC) is the officially recognised peak community body representing the interests and concerns of the residents and businesses within the Inner North region of Canberra. We liaise with the ACT Government, our community and other interested parties to promote and enhance the economic, cultural, social and environmental wellbeing of the North Canberra community. The NCCC is made up of volunteers who regularly engage with the various suburban groups and residents in our area so we can work together to preserve what is best about North Canberra and ensure that as we grow and redevelop that it is always a great place to live, work and play.